Another Beautiful Home Quality Constructed At Washington Farms Of Burlington And Farmington! Picturesque Community Living Nestled Among The Pines And Nature At Its Best! 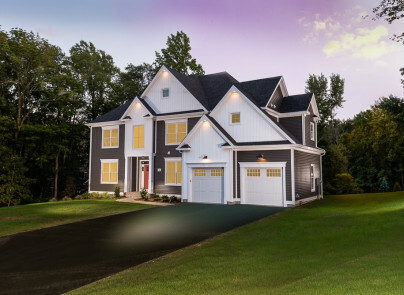 Natural Gas Heating, 1+ Acre Homesite; The "Modified Washington" Style Boasts A Two Story Family Room With Coffered Ceiling, Natural Gas Fireplace And Hardwood Flooring - Ample Chef Style Kitchen Features Built-In Appliances, Oversized Island Space, Gas Cooking, Butler Pantry And Walk-In Spacious Pantry! Two Story Sun-Lit Foyer Is Lovely And Master Bedroom Suite Will Be Sure To Please Showing Off European Tile Shower And Spacious Soaking Tub To Really Relax After A Long Day At The Office! So Many Great Features, Come See This Beautiful Home!